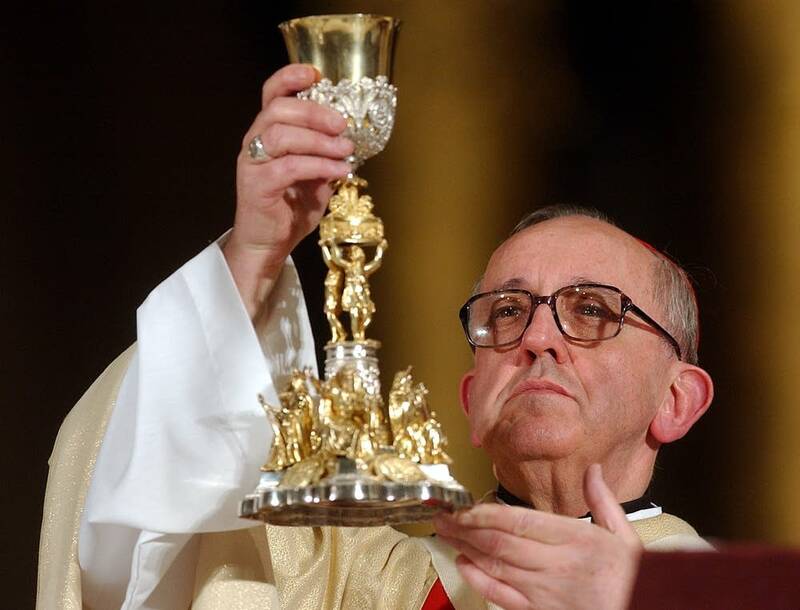 VATICAN CITY (AP) — Jorge Bergoglio of Argentina was elected pope Wednesday and chose the name Francis, becoming the first pontiff from the Americas and the first from outside Europe in more than a millennium. Looking stunned, Francis shyly waved to the crowd of tens of thousands of people who gathered in St. Peter's Square, marveling that the cardinals needed to look to "the end of the earth" to find a bishop of Rome. In choosing a 76-year-old pope, the cardinals clearly decided that they didn't need a vigorous, young pope who would reign for decades but rather a seasoned, popular pastor who would draw followers to the faith. The cardinal electors overcame deep divisions to select the 266th pontiff in a remarkably fast, five-ballot conclave. Francis asked for prayers for himself, and for retired Pope Benedict XVI, whose surprising resignation paved the way for the conclave that brought the first Jesuit to the papacy. 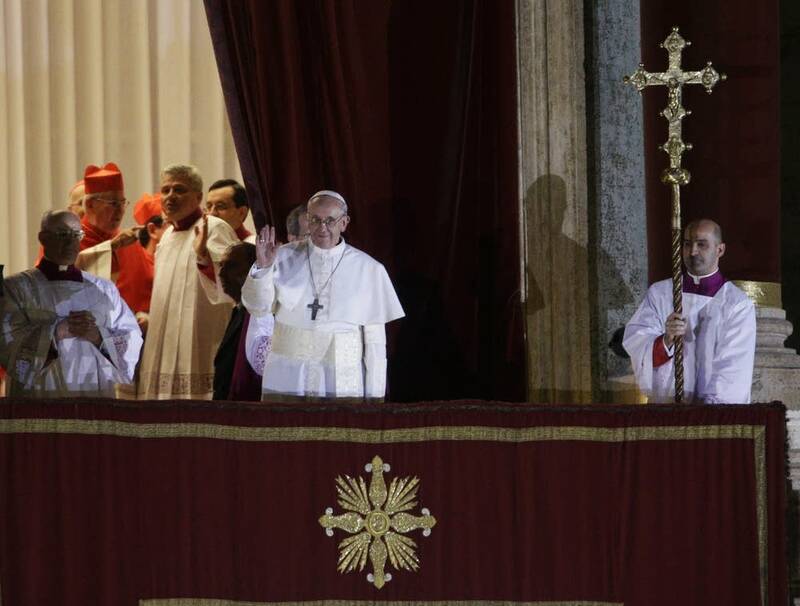 "Brothers and sisters, good evening," Francis said to wild cheers in his first public remarks as pontiff. "You know that the work of the conclave is to give a bishop to Rome. It seems as if my brother cardinals went to find him from the end of the earth. Thank you for the welcome." Bergoglio had reportedly finished second in the 2005 conclave that produced Benedict -- who last month became the first pope to resign in 600 years. 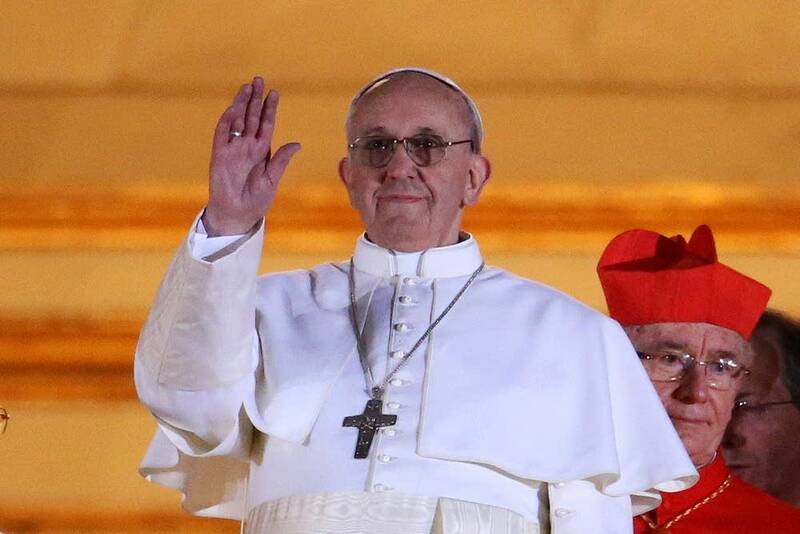 After announcing "Habemus Papam" -- "We have a pope!" -- a cardinal standing on the balcony of St. Peter's Basilica on Wednesday revealed the identity of the new pontiff, using his Latin name. The longtime archbishop of Buenos Aires has spent nearly his entire career at home in Argentina, overseeing churches and shoe-leather priests. Like other Jesuit intellectuals, Bergoglio has focused on social outreach. Catholics are still buzzing over his speech last year accusing fellow church officials of hypocrisy for forgetting that Jesus Christ bathed lepers and ate with prostitutes. Bergoglio has slowed a bit with age and is feeling the effects of having a lung removed due to infection when he was a teenager. In a lifetime of teaching and leading priests in Latin America, which has the largest share of the world's Catholics, Bergoglio has also shown a keen political sensibility as well as the kind of self-effacing humility that fellow cardinals value highly, according to his official biographer, Sergio Rubin. He showed that humility on Wednesday, saying that before he blessed the crowd he wanted their prayers for him and bowed his head. "Good night, and have a good rest," he said before going back into the palace. 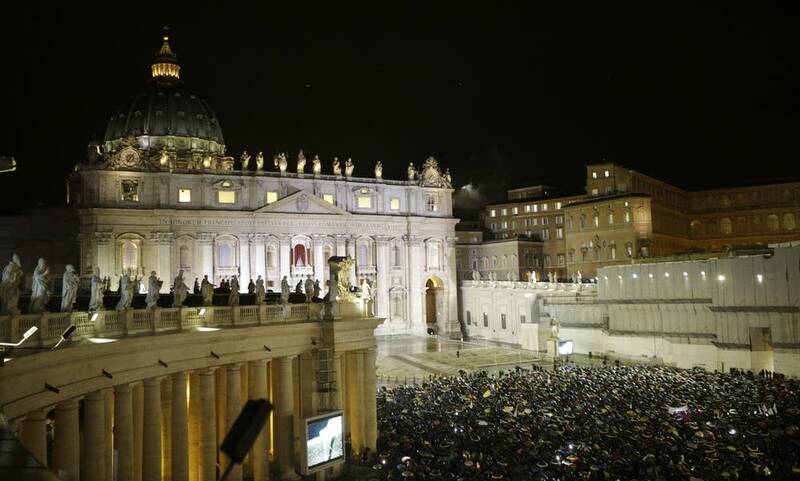 Tens of thousands of people who braved cold rain to watch the smokestack atop the Sistine Chapel jumped in joy when white smoke poured out a few minutes past 7 p.m., many shouting "Habemus Papam!" or "We have a pope!" 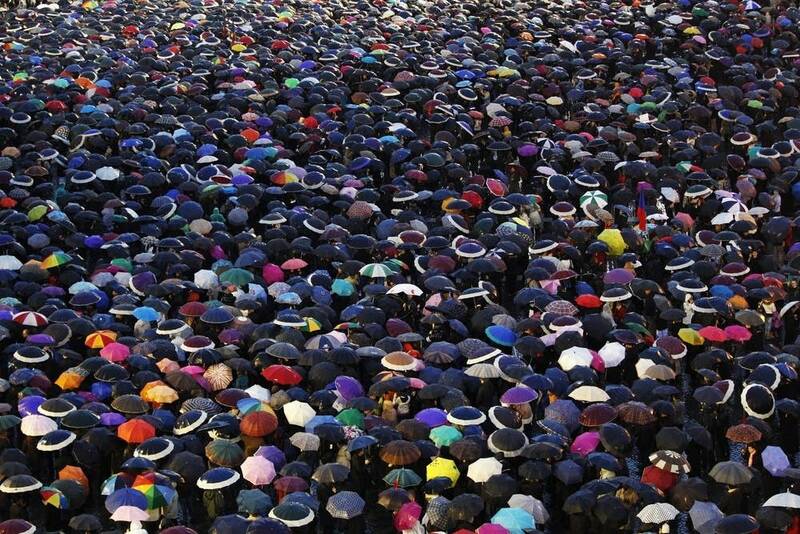 -- as the bells of St. Peter's Basilica and churches across Rome pealed. 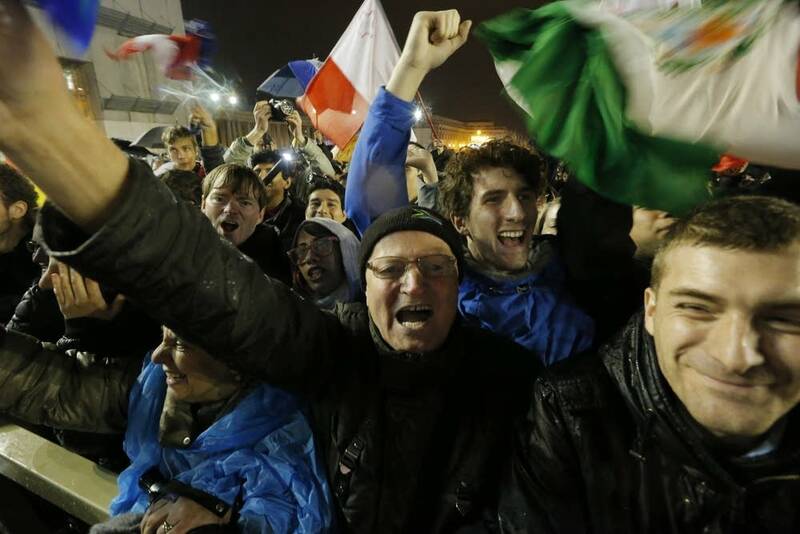 They cheered again when the doors to the loggia opened, and again when Bergoglio's name was announced. "I can't explain how happy I am right now," said Ben Canete, a 32-year-old Filipino, jumping up and down in excitement. Elected on the fifth ballot, Francis was chosen in one of the fastest conclaves in years, remarkable given there was no clear front-runner going into the vote and that the church had been in turmoil following the upheaval unleashed by Pope Benedict XVI's surprise resignation. A winner must receive 77 votes, or two-thirds of the 115, to be named pope. For comparison's sake, Benedict was elected on the fourth ballot in 2005 -- but he was the clear front-runner going into the vote. Pope John Paul II was elected on the eighth ballot in 1978 to become the first non-Italian pope in 455 years. Patrizia Rizzo ran down the main boulevard to the piazza with her two children as soon as she heard the news on the car radio. "I parked the car ... and dashed to the square, she said. "It's so exciting, as Romans we had to come." The Vatican spokesman the Rev. Federico Lombardi said it was a "good hypothesis" that the pope would be installed next Tuesday, on the feast of St. Joseph, patron saint of the universal church. 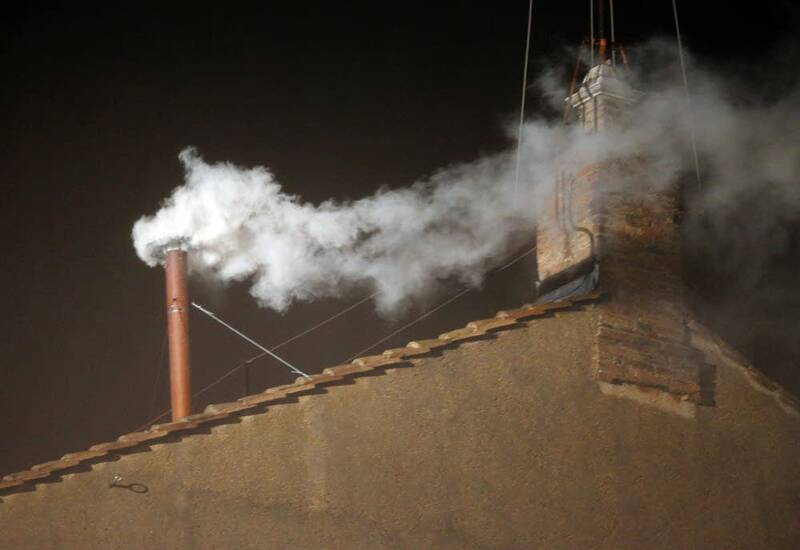 Unlike the confusion that reigned during the 2005 conclave, the smoke this time around has been clear: black during the first two rounds of burned ballots, and then a clear white on Wednesday night -- thanks to special smoke flares akin to those used in soccer matches or protests that were lit in the chapel ovens. 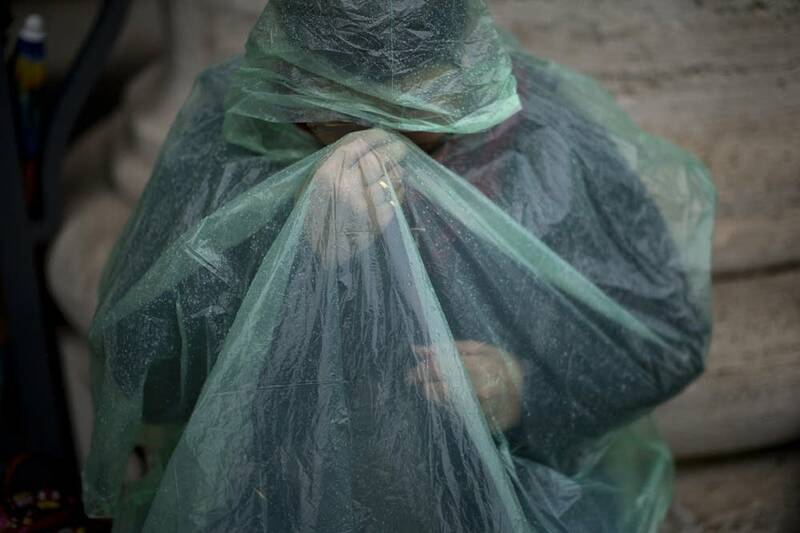 The Vatican on Wednesday divulged the secret recipe used: potassium perchlorate, anthracene, which is a derivative of coal tar, and sulfur for the black smoke; potassium chlorate, lactose and a pine resin for the white smoke. The chemicals are contained in five units of a cartridge that is placed inside the stove of the Sistine Chapel. When activated, the five blocks ignite one after another for about a minute apiece, creating the steady stream of smoke that accompanies the natural smoke from the burned ballot papers. 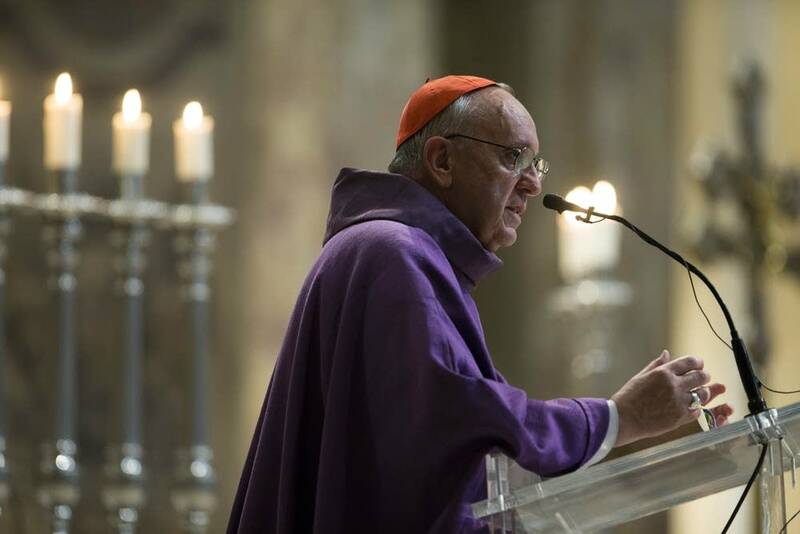 Despite the great plumes of smoke that poured out of the chimney, neither the Sistine frescoes nor the cardinals inside the chapel suffered any smoke damage, Lombardi said. Reporters Karl Ritter and Daniela Petroff contributed.